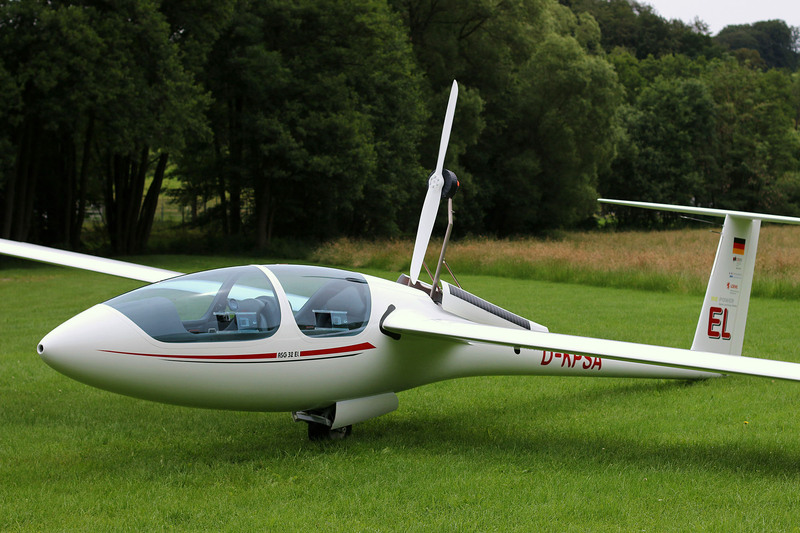 The 20m two-seater with an environment-friendly electric sustainer! 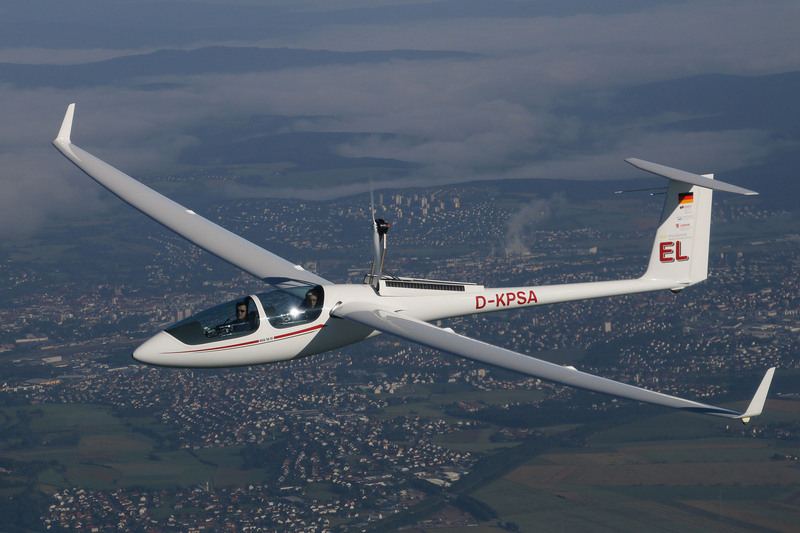 The 20m two-seater ASG 32 El with auxiliary engine is the first Alexander Schleicher aircraft to be equipped with an electric propulsion system. 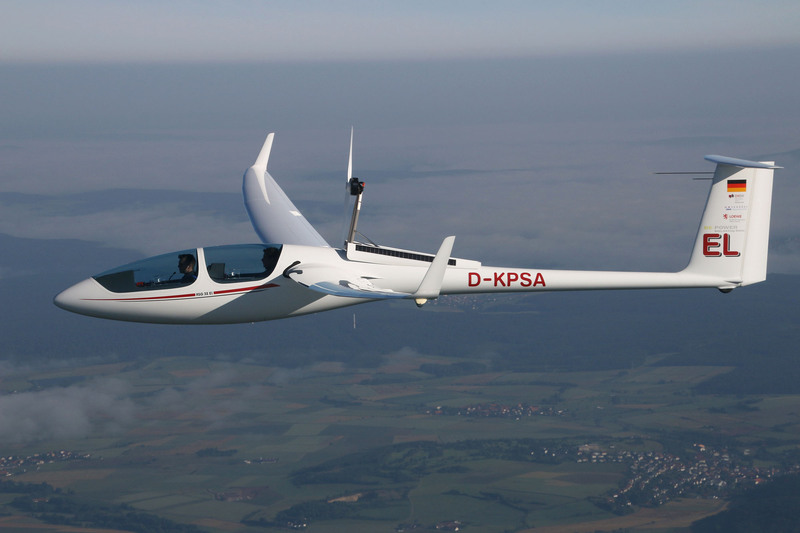 This propulsion concept was promoted within the framework of the “Hessen Model Projects” with resources from the provincial offensive for development of scientific-economic excellence (LOEWE). 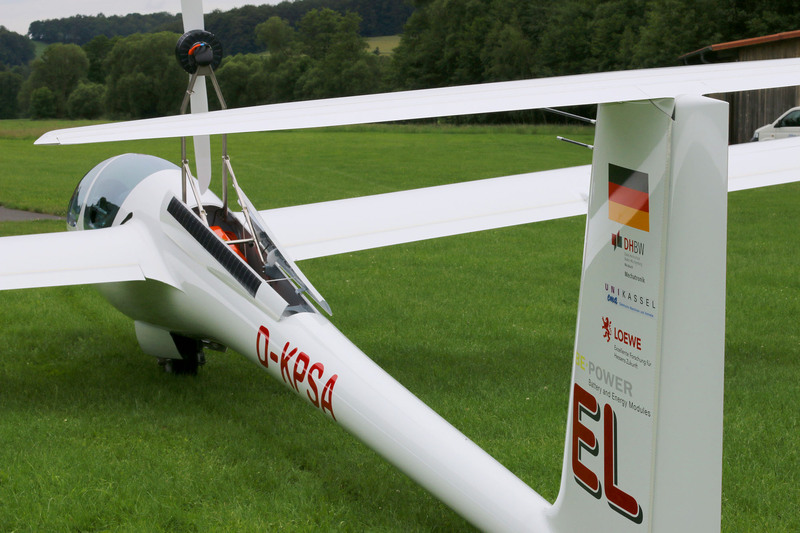 A Schleicher led consortium including the University of Kassel, the University Baden Württemberg at Mosbach and companies with expertise in battery technology was created for the development process. 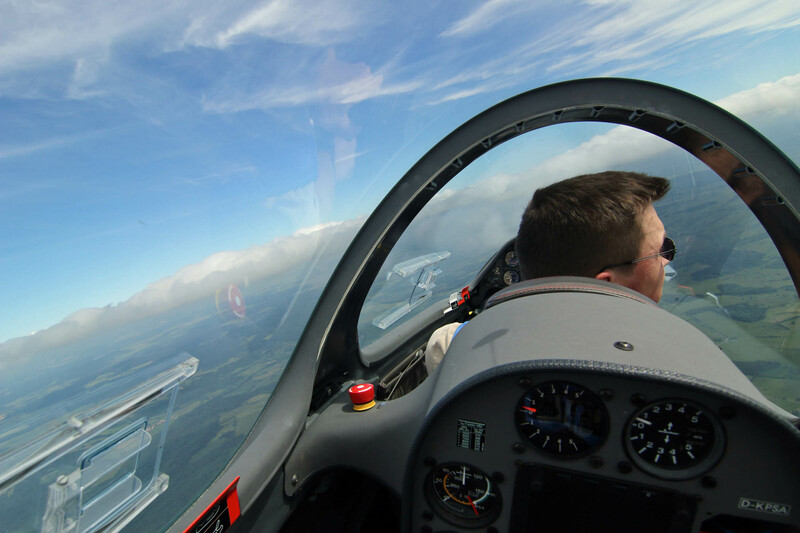 The propeller and control unit were also developed with expert specialty firms. 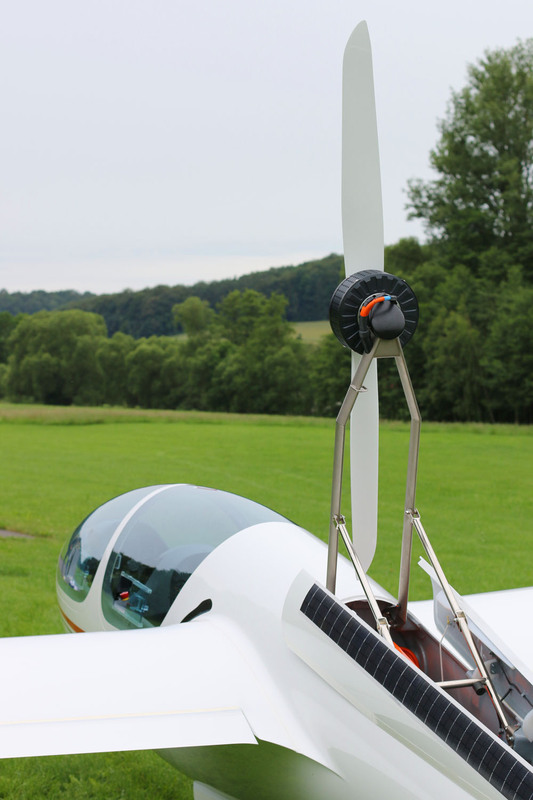 A synchronous motor with a performance of 34 BHP (25 kW) is supplied with power from lithium ion cells which are located as a block in fuselage engine compartment. 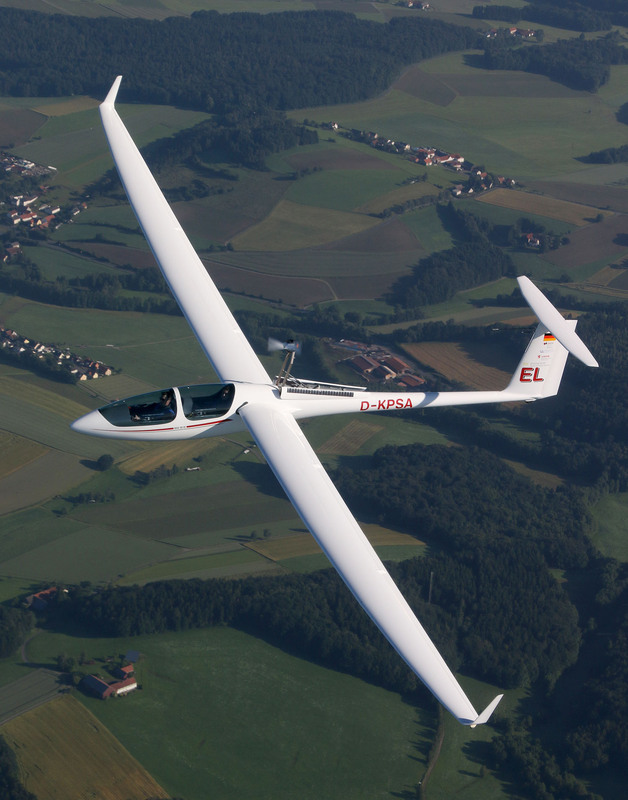 A runtime of 20 minutes under full power and a climb performance of 1.3 m/s (256 ft/min) results in a range of 100 km (62 mi, 54 nm) using the climb and glide method – with two pilots on board. 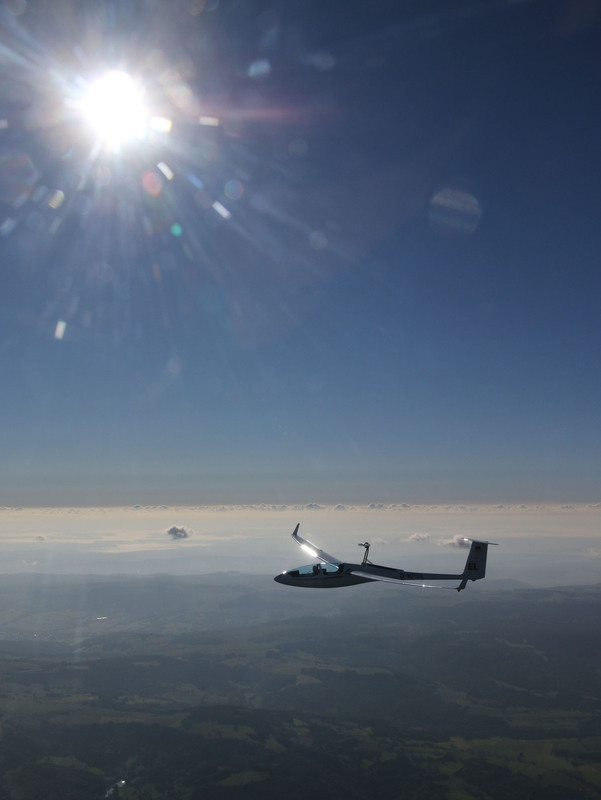 The advantage of the electric propulsion system is that there is no noticeable climb rate drop as the altitude increases. 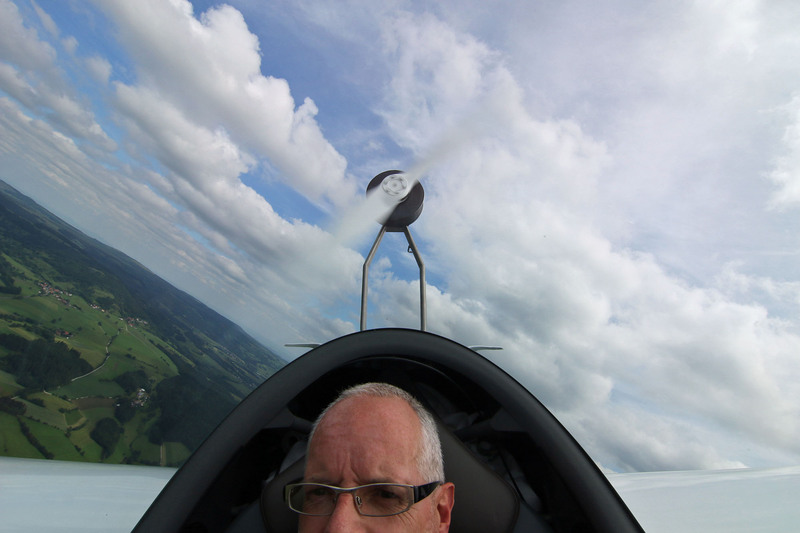 Naturally, the noise level is also much less inside as well as outside the cockpit compared to combustion engines. 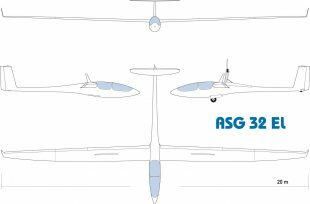 Especially on the ground, the noise generated by the ASG 32 EI flying under power is practically absorbed by the ambient noise levels within in the immediate environment. 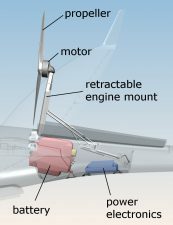 The operation of the propulsion system is understandably simple. 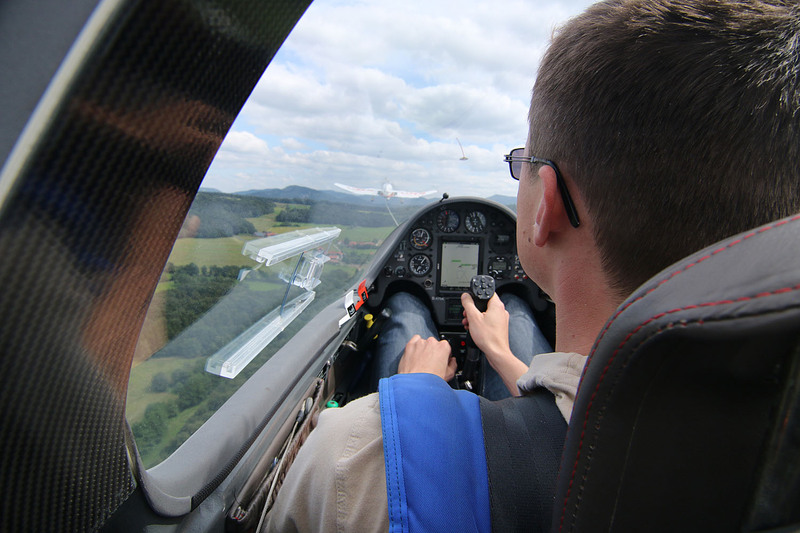 A control instrument in the instrument panel provides information about all the important parameters, such as charge status of the batteries, RPM and temperatures. 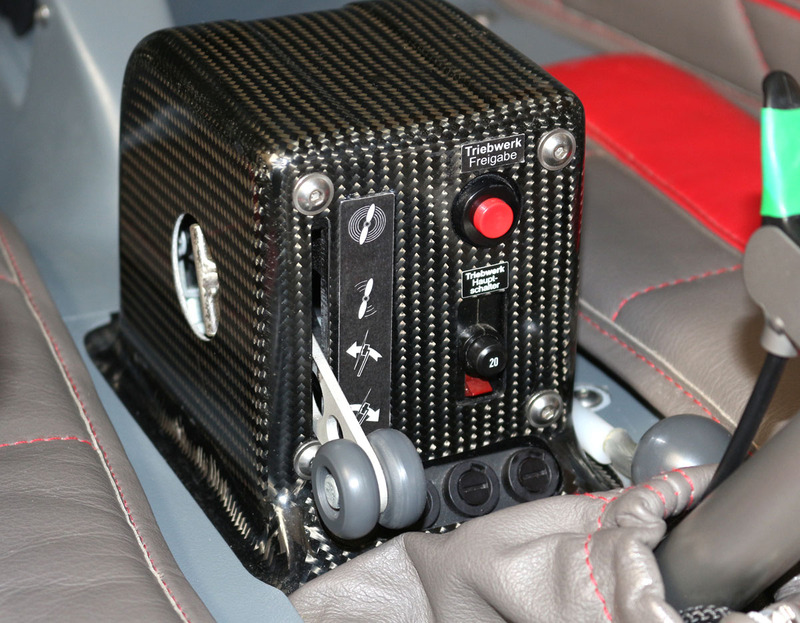 The engine control unit in front of the stick has an RPM control lever instead of a throttle control. By moving the lever to the first step the motor is extracted. 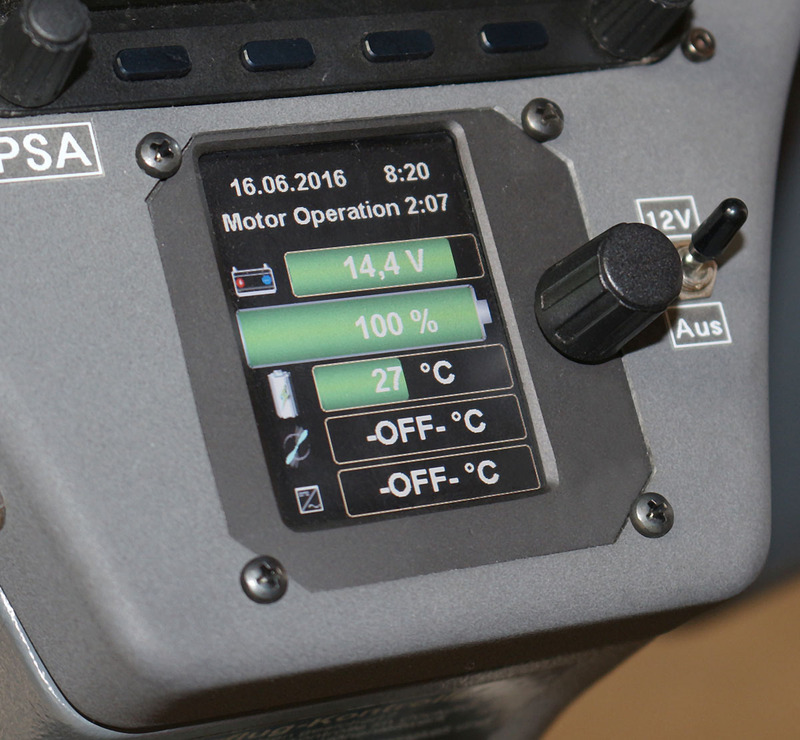 If the lever is moved further up the motor starts and the desired RPM level can be set. 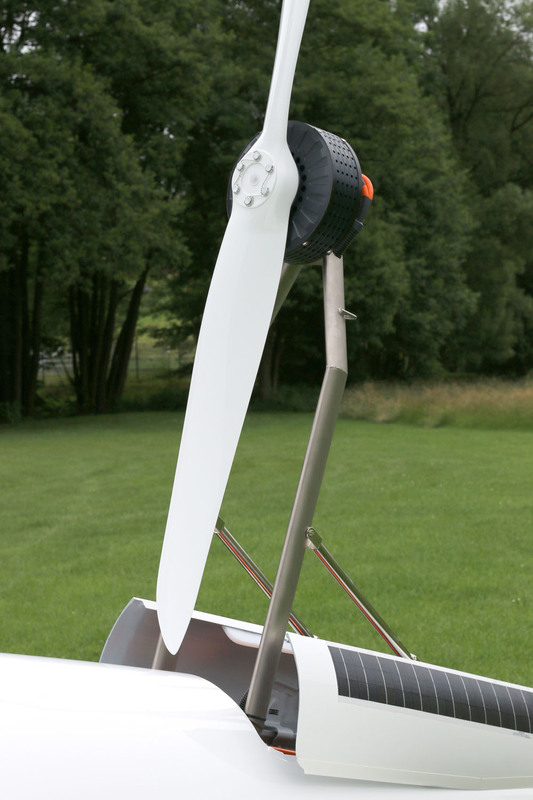 The electric motor is stopped by pulling the lever back. 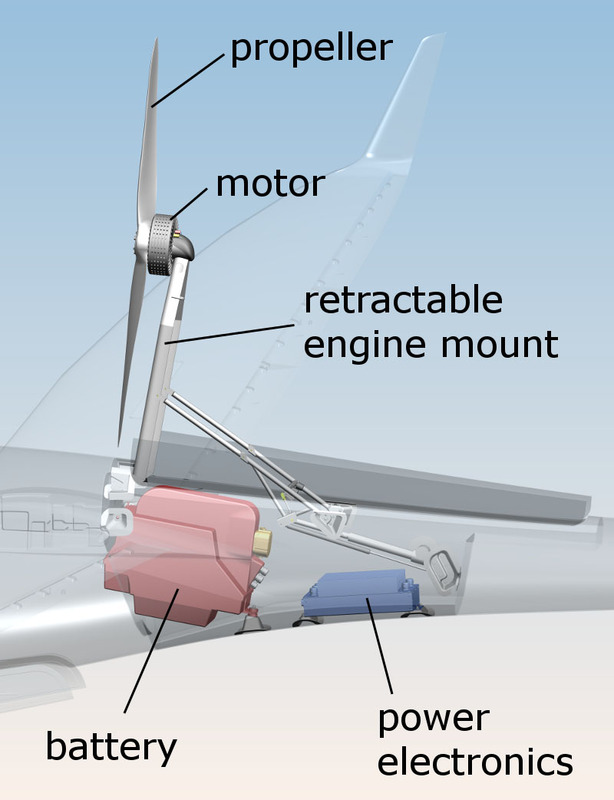 Propeller braking and vertical positioning as well as retraction of the whole propulsion system is carried out automatically. 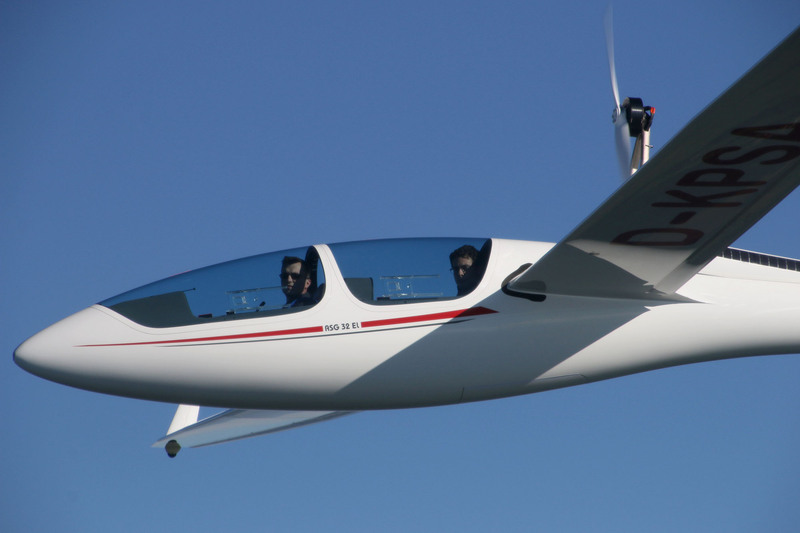 With its simple operating concept, the electric sustainer provides an enormous gain in security during operation – pilot errors during engine starts, especially under stress, are minimized. At the same time, a number of incidents in the fields of electro mobility and consumer electronics have shown that safety of lithium batteries is a topic to which we have to pay a great deal of attention during development and testing. 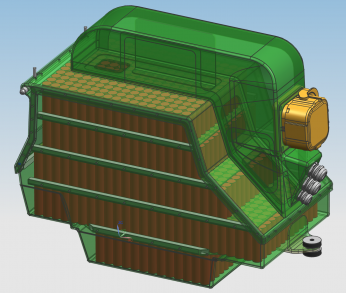 The core safety concept with our batteries is the so-called Battery-Management-System (BMS). 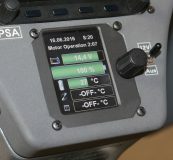 The BMS monitors battery voltages, temperatures and currents and switches the battery off when a limit value is exceeded. Deep discharging, over charging or overheat the battery due to incorrect operation is not possible. The battery consists of a large number of round cells, which are attached to each other by special cell connectors. In case of a fault, for example a mechanical short-circuit, these cell connectors act as fuses, thereby confining short-circuits to a specific area. 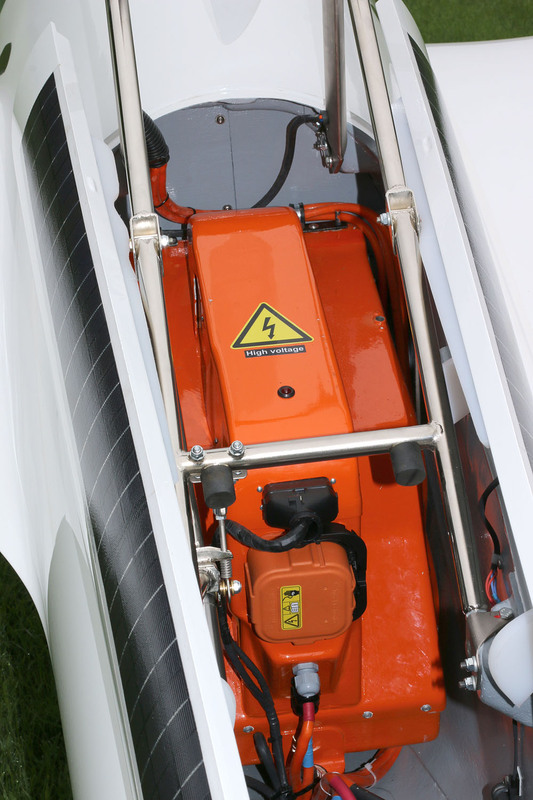 Additionally, this battery has a main fuse to interrupt external current flow when performing maintenance work. 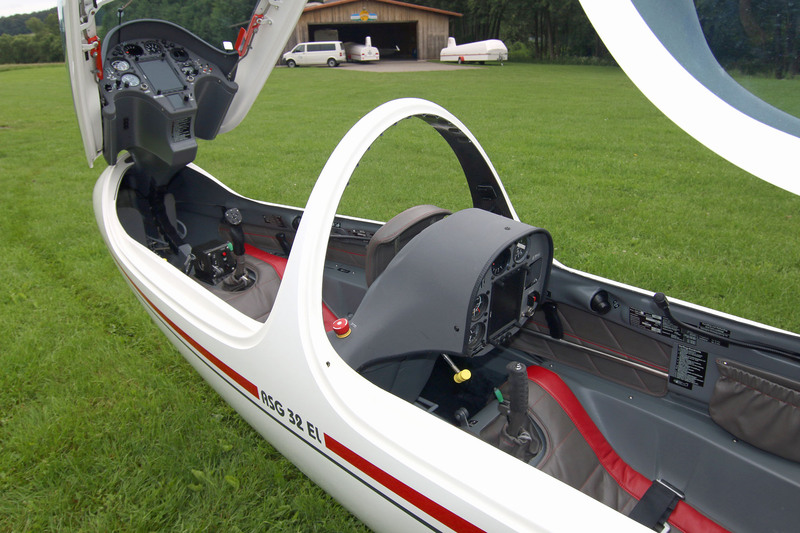 The primary goal in the development of the electric sustainer was to ensure a maximum operational safety in the air and on the ground. With its simple operating system and overall battery concept this requirement has been achieved in the ASG 32 El. 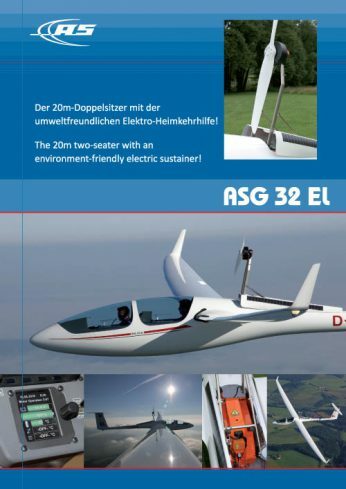 We are proud to be able to offer an environment-friendly, comfortable and powerful sustainer system for the ASG 32. 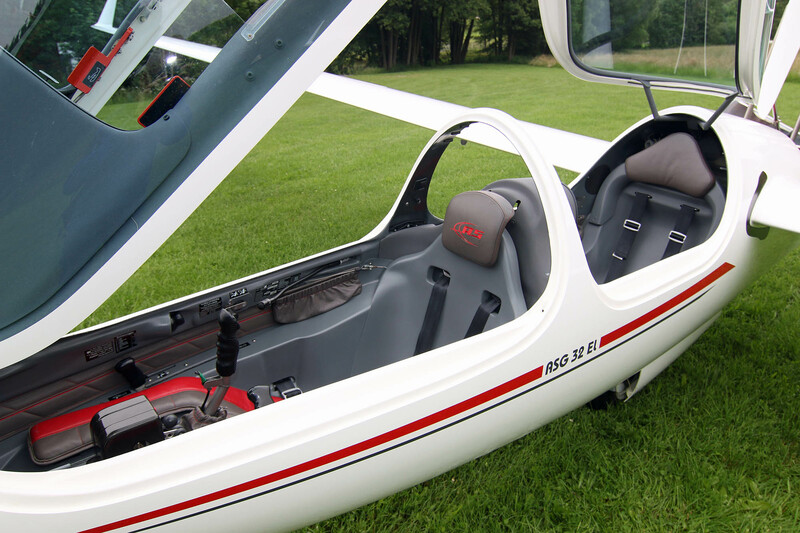 Even the pure sailplane version of the ASG 32 is series-equipped with an engine compartment so that an engine can be retrofitted later without high additional costs. 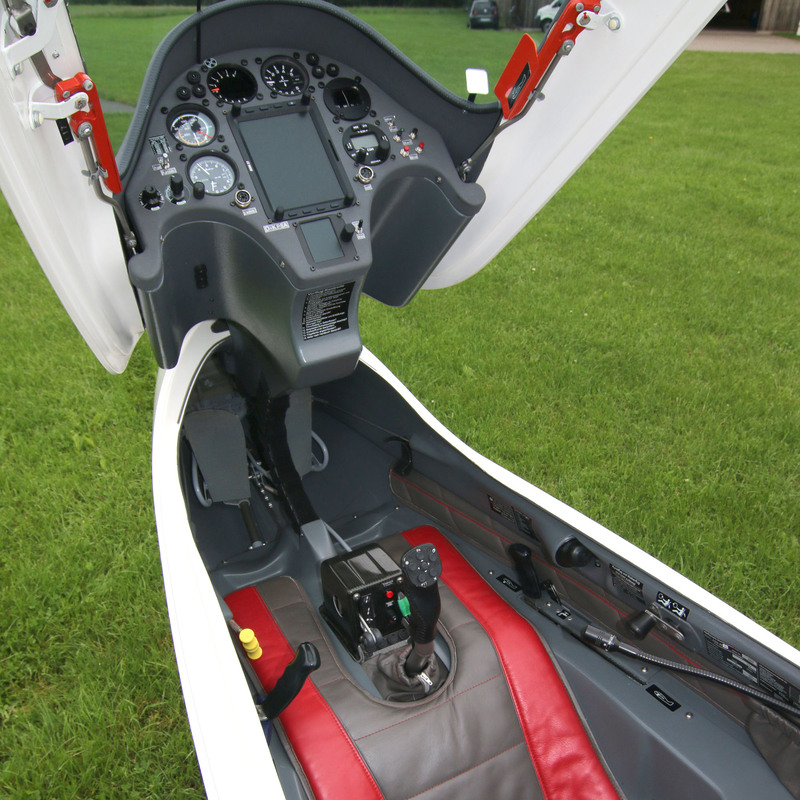 Rear cockpit engine controls are available as an option. Running time max. continous power 20 Min.